This past October 8th, Google announced that they would be shutting down Google+ over the next 10 months in order to give people a full opportunity to get ready for the closing and export their information if needed. In other words,this August 2019, Google + will be gone as we know it today. Furthermore, the company will be providing consumers with additional information on how to download and migrate data. In fact, 90% of the platform’s sessions last less than 5 seconds and have very low engagement. The decision follows reporting of a previously undisclosed security flaw that exposed users’ profile data and that was remedied in March 2018. So... Is Google+ REALLY dead? YES and NO… Google+ won’t be the same and will be gone for consumers. However, a new business version of Google’s social network will be available soon for professionals and it’s already getting a bunch of new features today. While Linkedin is for any consumer that would like to post their professional trajectory, this new platform has a different purpose. Some of the features Google has highlighted seem to indicate perhaps the creation of something that might compete with Microsoft Teams or Slack. 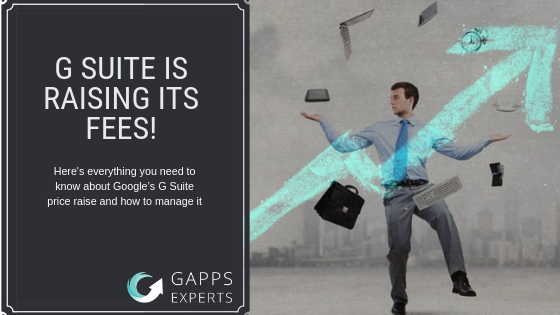 Therefore, large enterprises that work with G Suite business might be tempted to standardize on one product across the board. Google+ for G Suite isn’t all that different from the original Google+, but is is more focused on on allowing users inside a company to easily share information. Additionally, the new features added will provide admins more tools for managing and reviewing posts, allow employees to tag content and provide better engagement. Recently Google introduced the ability for admins to bulk-add groups of users to a Google+ community and disable the features for others. Additionally, members of the domains and sub-domains can be organized in units according to the departments they belong to in the organization. Soon, admins will also be able to define custom streams so that employees could get access to a stream with all of the posts from a company’s leadership unit. 1. Opening your Google Admin console. 2. From the Admin console Home page, go to Apps> G Suite> Google+. 4. In the Sharing posts section, select “Make the default setting for new posts restricted”. Tags will make it easy for employees to route content to everybody in the company, no matter which group they work in. Soon you’ll be able to draft posts and see suggested tags. The announcement of shutting the consumer platform down along with the one of new business features, is clearly meant to be a reminder that Google+ for the enterprise isn’t going away anytime soon. In other words, Google+ isn’t dying but going through a metamorphosis. 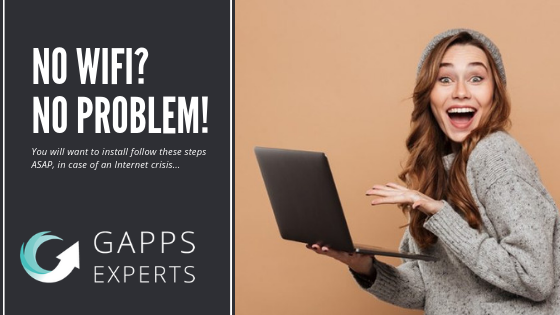 Picture this situation: A sudden storm hit your city and you lost internet connection because of it. Your Internet provider won't answer your calls and you don’t know what to do in order to finish that report you’re supposed to deliver in a couple of hours right now or you’re fired. What are you going to do? We hope you’re not in this situation (with such an unsympathetic boss), but if you were in a similar event you shouldn’t worry, as having no wifi is not a problem anymore. Yes. Just like you read. This past 8th of May Google announced this feature, but not a lot of people know about it yet. With the New Gmail interface, you can work without interruptions by using your Chrome browser (v61 or higher). Search, write, delete, and archive up to 90 days of messages, even when you’re offline. 2. From the Admin console Home page, go to Apps > G Suite > Gmail > User settings. 3. Scroll to Gmail web offline. 4. Check the Enable Gmail web offline box. 5. Click Save. It may take up to an hour for changes to propagate to all users. * Optional: If you want offline content deleted for your users when they sign out of their Google accounts, check the Force deletion of offline data on log out of Google account box. This will prevent your users from keeping content on their local devices when they log out. All users who are using the new Gmail can benefit from this feature, once you enable it for your domain. But in order to do so, they must turn the feature on, as well on their accounts. 3. Check the Enable offline mailbox. 4. Under Security, select one of the following to indicate how to handle offline content when you sign out of your Google account. Keep offline data on my computer. Data stored on your device will not be deleted when signing out of your Google account or when changing your password. To delete account data from your device disable offline mail and save changes. Remove offline data from my computer. Data will need to be re-synced to your computer when signing back into Google.com Mail. It may take a few hours to re-sync the mailbox. Note: If the G Suite admin has enabled the option to remove offline content when users sign out of their account, users don't have the option to change this in Gmail Settings. Gmail offline stores the latest 30 days of attachments and emails on your local device, and Chrome allows Gmail to use up to 7% of your available hard drive space for online content. You can reduce the amount of storage space your offline content uses, uncheck the Download attachments box in Sync settings or reduce the storage duration to 7 days. 3. Choose a value in Sync settings. 4. Values are 7, 30, and 90 days. 5. (Optional) Uncheck the Download attachments box. So let’s get started: How do I use Gmail offline already? Now there’s not much left to do… using your Gmail offline is as simple as creating a bookmark for your inbox to open it when you’re not connected or browsing in your Chrome browser for mail.google.com. Don’t have the New Gmail Interface on? Then what exactly are you waiting for? In this article we tell you how to enable the new interface and more reasons to convince you to have it if this one isn’t enough. But who doesn’t want to be more productive even when there’s no holly wifi to save you?! Need further help? Leave a comment below or contact us for further assistance! Google collects your data when you’re using its products, in order to make its services better for you and all other end users. Several articles have taken a somehow Orwellian view on the information that has been collected by the company and how worrisome it might be. But you shouldn’t be as long as you know which information is collected and how to manage it! Google has also explicitly acknowledged that when you use their products, you are trusting them with your data and it is their responsibility to be clear about that. Therefore they made an entire section on their privacy site about what is stored and how it’s stored. 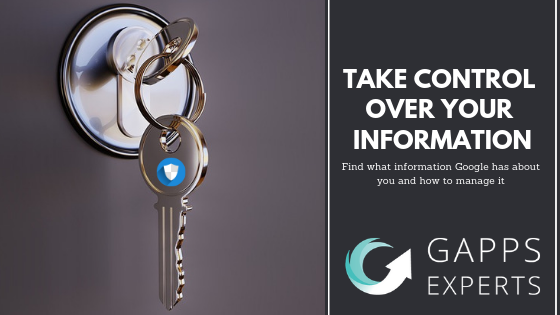 Here’s a quick guide on how to find out which data is being collected about you and how you can personalize your security and privacy settings. Your name, email, phone number, birthday, gender, “about me” section, Google+ Settings, Location Sharing & Search Settings. There are a few different ways to log into your account information; you could log into your Gmail and select the app drawer icon at the top > then select where it says “Account”, or you can simply go to myaccount.google.com. STEP 2: Under the menu that says “Your Personal info & Privacy”, click on “Your personal info”. STEP 3: See your personal information overview and edit whatever you would like to see! When you use the Google Maps app or have your GPS on and use your browser, your phone sends anonymous bits of data about your location back to Google. Google's Location Timeline shows a complete guide to everywhere you've been, in addition to your home and work, which you may have saved. You can turn off Location History for your account at any time. On your smartphone, open your device's Settings app Google Google Account. Your account & all your devices - At the top, turn Use Location History on or off. Only a certain device- Under "This device" or "Other devices on this account," turn the device on or off. If you're on a browser- go to the Activity controls section of your Google Account. At the top, turn Location History on or off. You can click here to learn more about your location history! As users browse Google sites like YouTube and other partner websites, Google stores an advertising cookie in a user's browser to understand the types of content that the user is viewing. This information is used to show ads that might appeal to you based on your your inferred interests and demographics. STEP 1: Go to the Ad Settings page. If you aren't signed in, at the top right, select Sign in. Follow the steps. STEP 2:Turn on Ad Personalization if it’s off. STEP 3: Under "How your ads are personalized," select your personal info or interests. To update your info, select Update. To remove an interest, select Turn off. Notice that if you turn off Ads Personalization while you are signed in, Google will stop showing you ads related to your interests across Google services as well as websites and apps that partnered with them. Accessing different apps and websites with your Facebook or Google account can make things way easier and faster. The downside? Sometimes because it’s so easy to do it, you forget easily to which services and sites you signed with your account. But don’t worry as Google can remind you of that and you can see how to unsubscribe to those services or manage them directly from your account! STEP 4 : Keep track of which apps or services you gave permission to access your account, and remove the ones you no longer use or trust! Remember that Google not only saves the information that makes you ‘you’, but also the things you do and create when using their services and sites like Youtube, Calendars, Google Maps, etc. My Activity is the central place where you can find things you have searched, viewed, and watched using their services. You can see and permanently permanently delete specific activities if you want to at any time. STEP 3: To eliminate any kind of activity associated to your account all you have to do is clicking at the upper right site of each activity, the three dot icon for more options and then click on “Delete”. STEP 4: Now that you’re at your timeline you will notice that this one has been divided by date and categories, but not everything is at simple sight. If you would like to see more than just your activity from certain categories, just click on the left menu where it says “Other Google Activity”. Remember that ignorance can create fear, therefore thoughts about feeling that we can’t get a hold of our own information out there, But as you can see, “knowledge is power”... Quite literally! Want to limit what Google can find and share about you beyond tips above? Then you can’t miss the Privacy Checkup tool. With this tool you’ll be able to manage the types of data Google collects, update what personal information you make public, and adjust the types of ads you would like Google to show you in a matter of minutes! Share it with your friends and colleagues. 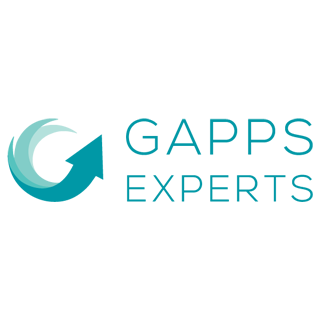 You can also follow us in our social networks for further updates, and if you would like to receive more guidance on how to manage your G Suite account don’t hesitate to contact us!